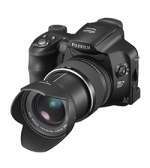 FujiFilm debuted this technology with FinePix S6000fd camera. Face detection technology operates exactly as its name implies, identifying up to 10 faces in a framed scene. Once faces are identified and prioritized, the 6.3 MegaPixel FinePix S6000fd adjusts its focus and exposure accordingly to ensure the sharpness and clarity of human subjects in the picture, regardless of background. In this video you'll see how everything is working. Nikon UK is pleased to announce its two day conference-led professional photographic show which is specifically designed to demonstrate all aspects of photography to the professional photographer. Now in its second year, the show will be bustling with a whole host of industry experts who will be showcasing their latest innovative technologies and techniques to help visitors develop their skills. Datacolor, a world leader in color technology, today announced the arrival of ColorVision PrintFIX PRO 2.0. The free software upgrade to its TIPA award winning PrintFIX PRO and PrintFIX PRO Suite( printer profiling solutions will be available for download later in November. Nikon introduced the versatile, affordable new 18-135mm f/3.5-5.6G ED-IF AF-S DX Zoom-Nikkor lens, further expanding Nikon's successful line of DX Nikkor lenses, engineered for use exclusively with Nikon's DX format digital SLR cameras. Developed for use with all Nikon D-series digital SLR Cameras, the 18-135mm f/3.5-5.6G ED-IF AF-S DX lens will be included as the compact, lightweight 7.5x zoom lens in the recently announced Nikon D80 10.2-megapixel digital SLR camera Outfit. Adobe Systems Incorporated has updated the Camera Raw plug-in for Adobe Photoshop CS2, extending raw file support to 13 additional camera models. Available as a free download from the Adobe Web site, the Camera Raw 3.6 plug-in builds on the raw file support integrated in Photoshop CS2 for digital cameras from leading manufacturers including Canon, Fuji, Nikon and Panasonic. The high-quality stainless steel body of the EX-S770 is the epitome of design elegance and ensures ease of operation as well, while maintaining all the slimness and beauty the EXILIM Card line is renowned for. The EXILIM Card EX-S770 is available in three exciting colors: silver, blazing red, and graphite blue. We have 3 reviews of this tiny camera. Underwater photography presents more challenges than does other specialties. Exposure concerns, backscatter, reflections, and color shifts are a part of life for the practitioner - and re-creating a problem shot isn’t necessarily easy. Fortunately, Adobe Photoshop can save the day. 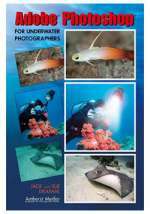 In this first-ever book on using the digital darkroom to produce perfect underwater images, readers learn to finesse, fine-tune, retouch, and dramatically correct and enhance film scans and digital camera images. The D50 is Nikon's entry level dSLR camera. D50 is an outstanding performer, right down to its diverse playback options, versatile custom settings, USB 2.0 Hi-Speed interface for easy connectivity or direct printing to any PictBridge compatible printer with in-camera page setup. 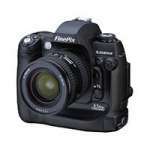 We have 17 reviews of this excellent dSLR camera. Epson has launched its latest general purpose Stylus C87 Plus four-colour, inkjet printer in the Middle East offering the region’s growing base of small and home offices a fully feature-packed, fast and economical print solution. You've read all the reviews, done your research, and purchased a cutting-edge digital single-lens reflex (DSLR) camera. Now it's time to master it so you can take great photos. 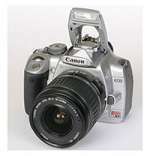 Adorama Camera, the Photography People, has just published a guided tour of the Canon Digital Rebel XTi. Adorama Academy publishes a comprehensive look at all the gear you need to get started (or get better) photographing creatures in the wild and shows how digital SLR cameras have made a positive impact on the field. In its ongoing efforts to educate photographers and help them improve their skills, Adorama has just published Wildlife Service: Beyond Long Lenses, a comprehensive guide to the the gear photographers need to achieve pro-quality images of creatures in the wild. 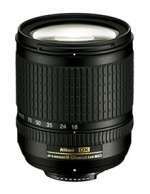 Nikkor 18-200mm VR is zoom lens that is ideal for everyday photography and incorporates advanced features such as Nikon ED glass, SWM (Silent Wave Motor) and enhanced VR (Vibration Reduction), as well as featuring optics optimized for use with Nikon digital SLRs. This lens will replace many of yours standard lenses and made your bag a lot easier to carry around. KeywordCompiler.com, the most advanced keywording and asset tagging software in the stock photo industry, now offers KC Lite, which is the simplest. KC Lite is designed to assist individuals of all skill levels in creating keywords and metatags to optimize keyword search of their photographs, video, footage, mash-ups, web sites, archives and other visual content. ACD Systems International Inc., makers of ACDSee photo management and creative editing software and Canvas technical illustration software, today announced the release of ACDSee 9 Photo Manager for photography enthusiasts in French, Dutch, and German. With the release of ACDSee 9, ACD Systems once again sets the industry standard for both speed and usability in a digital photo management software, and continues to meet the photo management needs of its international consumer base.